A beautiful Easter bouquet designed with fresh seasonal flowers. 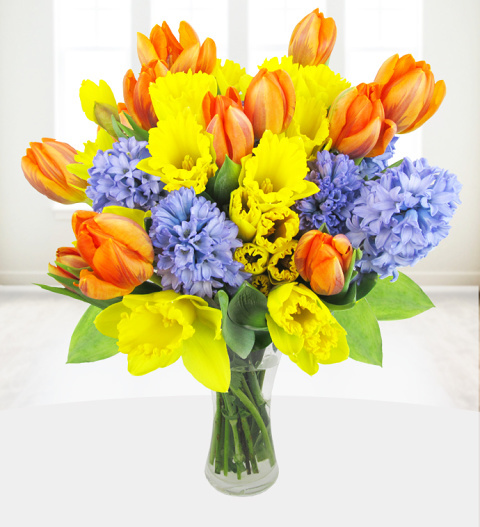 The bouquet is skilfully arranged with blue hyacinth, daffodils and lovely spring tulips. The bouquet has a sweet honey smell and brings that instant wow factor. Easter Bunny is available for UK next day delivery, a bouquet perfect for any occasion that comes with a FREE box of fine Belgian chocolates. Chocolates may contain nuts.